Today, the present and future of any website design & development company looks brighter than ever. The increasing importance of digital marketing has given rise to many a website design agency. Most of the people are attracted to engaging web designs, to be precise, two-thirds of them, according to Adobe. 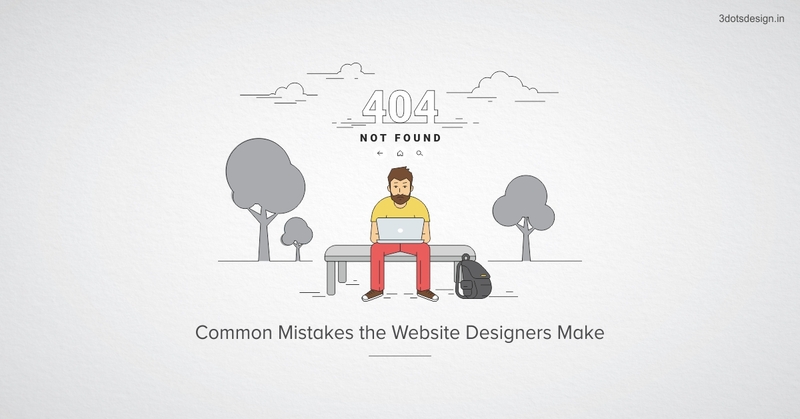 However, some websites miss the point and end up losing the visitors. • Make the website visually attractive and colorful. • Relevant, simple designs drive home more sense than drab or plain website. So, the trick lies in making your website visually appealing and user-friendly. Adobe says that 39% people would quit from the website if it’s too slow to download. Remember, people don’t have all the time in the world just to see your website. If your website doesn’t have an easy access to your contact details, people will get frustrated and leave the page. • Let your contact details be visible. • Provide at least a link to your contact details, so that people can reach you at a click! • Put your contact details in your header, footer or a combo of these three. Websites that are difficult to zoom in on a mobile or a tablet can be really annoying; especially on the go. • Make your website responsive and fluid. So that your visitors won’t have to zoom or pinch on the mobile. Interestingly, Google changed its search algorithm in early 2015 and this change made the website designers make their website responsive. Our digital team is well versed at creating effective and result-oriented web design. So, along with traditional and digital advertising, we also answer to the name of a reputed website design agency.